A tour of Central Australia is an awe-inspiring educational experience for students and teachers alike. Renowned for its national parks, abundant wildlife, Aboriginal rock-art and stunning gorges, the area is steeped in natural beauty and history both ancient and modern. On a WorldStrides tour, students will venture underground in Coober Pedy, explore Watarrka and Kata Tjuta National Parks, and witness the sun set over Uluru. Begin your journey Assemble with your group for a morning departure aboard the express coach to Coober Pedy. Coober Pedy Arrive in Coober Pedy, a town most well-known for it's underground population and it's precious opals. Umoona Opal Mine Underground Camping Experience Settle in at the underground camp for an exciting overnight stay. On the move Journey through the vast outback en route to Alice Springs. Breakaway Reserve Enjoy lunch and a visit to the Breakaway Reserve. Alice Springs Upon arrival in Alice Springs, set up for two night's camp. Afterwards enjoy free time exploring the town. Alice Springs Desert Park Take a self guided visit of Alice Springs Desert Park and enjoy the 'Birds of Prey' show. Guided Tour Enjoy a guided tour of the Royal Flying Doctor's Base and the School of Air. Optional activity - Aboriginal Dreamtime and Bushtucker Tour Learn about real Aboriginal culture in it's natural Australian setting. Be introduced to topics such as Dreamtime and spiritual beliefs, bush survival, and the marriage and social system. Sample a witchetty grub or some Kangaroo tail as you learn about bushtucker, hunting and weaponry. There’s also a rare opportunity to meet and interact firsthand with traditional people from the Walpiri tribe. Western MacDonnell Ranges Enjoy a full day exploring the Western McDonnell Ranges and it's iconic sites including Stanley Chasm, John Flynn’s Grave, Ormiston Gorge and Simpson's Gap. Anzac Hill Lookout Experience sunset from the impressive Anzac Hill Lookout. Camel Ride En route to Watarrka, enjoy a short camel ride at Camels Australia before visiting Mt. Ebenezer. Watarrka National Park Explore the spectacular sandstone cliffs, natural rock pools and lush vegetation of Watarrka National Park. Here you will also find the Garden of Eden and the Domes of the Lost City. Optional activity - Cultural Immersion Tour Learn about the local indigenous culture and their connection to the land. On the move Begin your journey to Uluru. Upon arrival set up for two nights camp. Afterwards take a self-guided tour of the Cultural Centre. 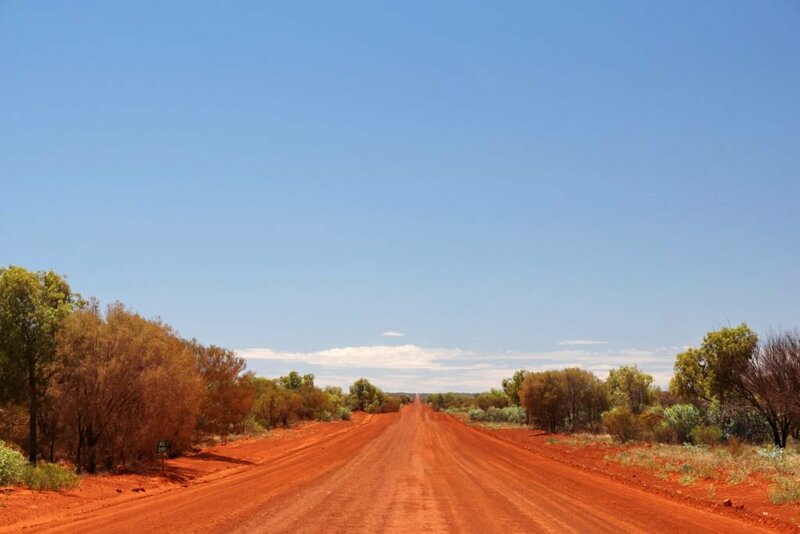 Learn about the local Anangu culture and marvel at this scenic wonder of the Red Centre. Sunset Strip Witness a breathtaking sunset over Uluru from the Sunset Strip. Uluru National Park Explore the iconic Uluru National Park. Take a circular tour of the base and view the aboriginal rock paintings and caves. Kata Tjuta Afterwards visit Kata Tjuta, another scenic wonder of the Red Centre. Thank you for your interest in our WorldStrides Best of the Red Centre Tour! Please tell us a little more about yourself so we can get you sent to the right place.